I am standing again because I believe that members appreciate an accountable, experienced and inclusive voice. Since I was first elected in 2000, the party has changed beyond imagining. I have worked with four leaders and eight general secretaries, in and out of government, with membership falling below 200,000, then soaring to more than half a million. Throughout that time I have acted according to consistent principles, on the Left with regard to policy, and in support of party democracy and members’ rights. Above all I have worked to maintain communication all year round, listening and responding. While I have strong personal convictions, I am not elected primarily to pursue my own agenda but to reflect the diversity of party opinion. The messages I value most are those that say “I don’t always agree with you, but at least you tell us what is going on”. In these polarised times every member must be heard with respect, not treated as the enemy within. I’ve reported on every meeting, summarising the discussion and explaining how I spoke and voted and why. I’ve visited dozens of local parties and corresponded with thousands of individual members across every region and nation. No other candidate has a comparable record. My reports and background information are at annblack.co.uk. Back in 2000, Tony Blair was leader. Then, I was in a small minority on the NEC and the national policy forum, voting against privatisation, selective education, war in Iraq and austerity, and for public services, progressive taxation, index-linked pensions and benefits, large-scale housebuilding and restoring funds to local government. I do not think you will find any policy differences between myself and my former grassroots alliance comrades. As Gordon Brown was succeeded by Ed Miliband, debate became more open, and Jeremy Corbyn’s 2017 manifesto showed that bold, socialist policies could actually be popular. However to win power Labour must reach out further, beyond the membership, and appeal to some 15 million voters. Personally I would like to see the end of Trident, and the party conference has never voted for its replacement, but there is currently no consensus and the priority is electing a Labour government. And on Brexit, while I campaigned for Remain, I believe that Keir Starmer is walking a difficult line with some skill, given strong views on both sides among MPs, members and voters. All party members owe loyalty to Jeremy Corbyn as our democratically-elected leader, and the behaviour of some MPs is a continuing source of anger. After the May elections I again passed on complaints about senior Labour figures talking the party down. Even members who are not entirely satisfied want internal discussion to remain private. This is a perennial problem, and previous leaders have also suffered, but it has to stop. On a personal level I was chased by journalists after Christine Shawcroft was elected to chair the disputes panel in January, and again after the fracas at the national policy forum in February. I rejected all invitations to comment as I was not, and am not, willing to be used as a pawn by anyone. Following my eventual election as chair of the NPF, I made clear that the forum is not an arena for factional spats. Its only role is to engage members in developing an attractive and coherent programme for government. Back in 1998, members of the House of Lords could and did stand as NEC constituency representatives, and MPs and MEPs could serve out their term in a section supposed to be for ordinary members. In 2003 Tony Robinson and I closed these loopholes. In my first conference speech in 1997 I called for one-member-one-vote elections for constituency representatives on the national policy forum. It took twelve years until, with the help of the trade unions, conference in 2009 finally agreed. I am persistent. More recently I steered the women’s conference towards formal debate in 2017, with motions this year and a free-standing women’s conference in spring 2019, working with union representatives and party staff to deliver on the 2016 rule change specifying a women’s conference with formal input into policy-making. In the 2016 leadership election I voted for Jeremy Corbyn to be on the ballot automatically, and – contrary to claims by Momentum – I opposed the six-month waiting period for members to be able to vote. Instead I put forward a cut-off date of 24th June, which would have included many more thousands, but sadly this did not achieve a majority on the NEC. Much of the work of the NEC is not partisan but practical. For instance, the 2011 conference changed the basis of CLP funding. 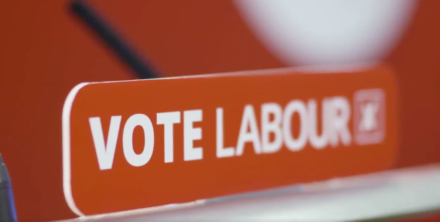 The cost of election insurance, the Euro-election levy, Contact creator and one conference delegate pass – a total of around £1,400 – would be paid centrally rather than being deducted from membership subscriptions, and in addition CLPs would receive £1.50 per member. In 2013 I got this indexed to inflation, and in 2016 raised to £2.50 per member. So I won a 70 per cent increase in six years in the money returned to CLPs, and that is worth having whether you’re left, right or non-aligned. Linked to this, I have shown that I can work with other NEC members from all strands and all sections, and with party staff at headquarters and in the regions. Despite occasional differences, all are overwhelmingly committed to winning for Labour, and have more in common than that which divides us. We need to remember that, and to live it at every level of the party. I am a member of Unison, and was a workplace steward and staff side negotiator for 30 years. I know how much people at the sharp end need a Labour government. For many years I served on Union’s regional and national political committees, and they are backing my campaign. I am also grateful for organisational and political support from Open Labour, which stands for transformative left-wing politics, and I will be chairing a session at their conference on 23 January – see here for more information. This partnership is based on shared values and mutual respect, and I retain freedom of judgment on all issues, in the light of changing circumstances and of feedback from you, the members. Finally LabourList suggested that I have tens of thousands of email addresses. This is flattering, but not actually true! I have no privileged access, no massive database and no paid staff, and I depend entirely on individual members and their friends and networks. I already have more than 80 nominations from CLPs across the country, and I hope that enough of the 100,999 people who voted for me in 2016 will continue to give me their support. I will not let them down. If there is anything else that you would like to know, please contact me via my website annblack.co.uk, or directly at [email protected], [email protected] or 07956637958.